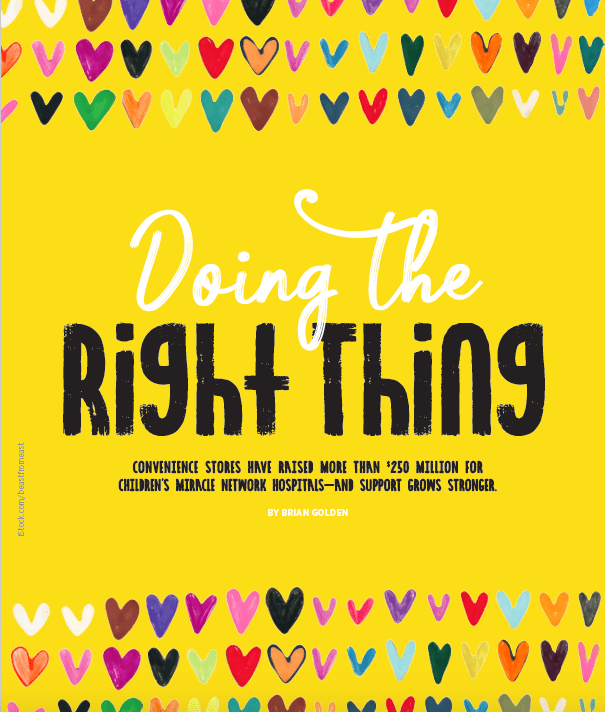 The current issue of NACS Magazine highlights convenience store brands such as Speedway, McLane Company, Love’s Travel Stops & Country Stores, Corner Store, Circle K and Stripes that have partnered with Children’s Miracle Network Hospitals and raised more than $250 million since 1983. For 35 years, these CMN Hospitals partners have been engaging employees and customers in campaigns to support local children’s hospitals throughout the United States and Canada. NACS Magazine, which features articles that focus on trends and best practices in the convenience store industries, reaches 2,100 retailer and 1,750 supplier members from more than 50 countries.